Holly Holm’s reign as UFC champion lasted one match after the boxing star that shocked the world by beating Ronda Rousey fell to challenger Miesha Tate at tonight’s pay-per-view event in Las Vegas in the longest women’s bantamweight title fight in UFC history. Holm lasted until the fifth and final round before being submitted by an extended rear naked choke. 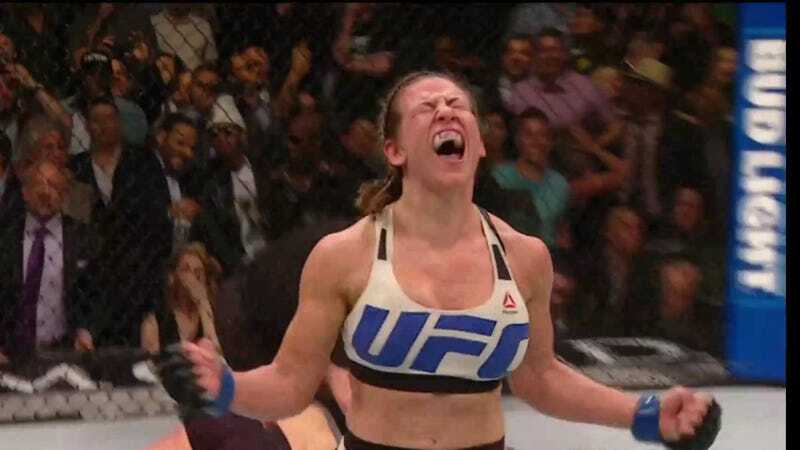 Tate previously lost two bouts to Ronda Rousey, both by submission.